Mary mother of the Church Catholic parish Ivanhoe - Your Views? WYD "Days in the Dioceses"
You are invited and encouraged to briefly share your views on this page. 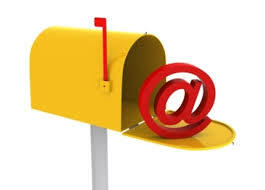 Simply email your thoughts here ([email protected]) and type the words "Your Views" in the Subject box. Looking Ahead: Winter Masses at St Bernadette’s Church: (1 May 2015) Because the weather is getting darker and colder, there are concerns for and by those who walk to and from the 6.30pm Mass at St Bernadette’s who may be finding difficulties at this time of the year. We are wondering if an earlier Mass at 6.00pm would be helpful, or is it preferable to leave it at 6.30pm and ask for your opinion? For us personally because of other commitments from 5.30p.m to 6p.m. the change would not suit. Also the person we take to church would not be able to attend Mass. However we are not opposed to the idea. Have been keeping abreast of the parish newsletter and wish to comment on the mass time change option at St. B's during the winter months. Our thoughts are that it would make more of a difference to bring the time to 5.30. Of course this will depend on the needs and opinion of those who would be affected most of all. Cheers from Sarina and Patrina. I did think that the Easter Sunday Mass was a bit priest centred, with the congregation pretty much saying nothing, but I presume that is how the celebration is programmed! As a general thing I think that our singing is too much "programmed". There is a lot of recorded music, and no parishioners joining in. I think that is because the singing is a bit high? ..................Read all of the feedback from Marcus Napolitano on Palm Sunday, Holy Thursday, Good Friday, Easter Vigil and Easter Sunday here. Around two months ago I signed online a very well worded, respectful, thoughtful and faithful petition to the Pope urging the Church to consult more widely than it has done, and similarly to take into account the views of ordinary Catholics in its deliberations. The petition was prepared by Catholics for Renewal, but so far I've heard nothing since. Does anyone know when we might expect to hear some outcome from this petition which I understand was signed by around 8,000 Catholics? - Anon Ed, Saturday 29 October: Catholics For Renewal Inc, authors of the Petition and the near 8000 signatories still await a response from the Catholic Bishops regarding their Petition and the Ad Limina visit. It is likely that some more information will be available to Catholics for Renewal Inc in mid to late November and they will report to us all on the outcome. Archbishop Philip Wilson's Ad Limina Statement to Pope Benedict (ABCB Website) as extracted on this website's "News" page is relevant. At the new "Experimental" 5:00pm Mass last Sunday (11th April) and during an interactive discussion with those present Fr John asked a number of Questions. One of those, based on the day's Gospel Reading, was "Thomas the doubter. How does doubt affect our lives and Church?". Someone present has offered the following thoughts on that Question, and also on the meaning of "Heaven", and on "Paedophilia", and "The chosen people". - Ed. These thoughts may be seen by clicking here. *Do you/we believe that God/Jesus sends us into the world with a message - of God's love and forgiveness for all people? Large crowds attended the services here in Ivanhoe (and throughout Melbourne) over Easter - why not each week? What does it mean to belong to a Christian / Catholic community? goodness of people and that is very uplifting! What a wonderful generous Parish we can be. The bushfire relief donation of $5,000 from the Parish collections deserves special mention. open chapel for quiet reflection, headquarters and offices. Having read the draft Parish Masterplan, I wish to express my dismay at what is happening to our Catholic Parish of Ivanhoe. I commend Wennie & Trish Van Lint’s views and Annie O’Donnell’s, already expressed on this issue. have. It should be attached to a school. I would like to see a new tennis club built near St Bernadette’s school. could be used by the school for netball or basketball during week days. Congratulations on the Parish Master Plan. Much more thought has gone into it when compared to the previous plans. It appears that the aspirations of most of the Parishioners affected has been given due consideration . Whilst it desirable to have a Retirement Facility for our many aging Parishioners, it is a pity that the youth of our Parish have to sacrifice a sporting facility. As in every business venture, it is essential to develop a feasibility study incorporating, cash flow elements etc, no doubt the Parish Leadership Committee would be producing one. As stated in the Master Plan, a sacrificial giving Campaign in 2009 to boost income is a must. I would like to comment on the proposal in the Master Plan to demolish St Bernadette’s Tennis Courts West Ivanhoe and replace them with buildings. Current users will be losers. The courts are used not only for social play, but also for senior competitions on 3 weeknights and Saturday afternoon, and juniors on Saturday mornings. Future generations will also be losers. The initial 2 courts were established over 50 years ago by visionary parishioners and some 20 years later a further 2 courts were added with member/ parishioner financial support. Over this period countless parishioners and other persons of all ages have enjoyed the courts. Future generations won't have this opportunity under the Master Plan proposal. There will be another loser being the wider community. There is already a shortage of tennis courts in the City of Banyule to cater for competition teams for night & junior tennis. The proposed Master Plan only addresses one of the three key issues that we all thought were critical when we started this journey - to build a vibrant Catholic community in Ivanhoe. The process started not because we thought change in and of itself was good but because we faced a rapidly declining number of clergy, a diminishing ‘churched’ community consequently a reducing financial operating base ( see remainder of this two page response to the Master Plan here) - Wennie van Lint. My reaction is one of disappointment. This plan does not speak to me about where we are going as a parish, although it is called a parish master plan. Really it is a strategy document which proposes quite an ambitious - and perhaps unrealistic, in the current economic circumstances - strategy, based on real estate solutions to enable us, the three erstwhile parish of Ivanhoe, to maintain all existing properties, except the tennis courts in West Ivanhoe, which have been deemed expendable. And herein lies my disappointment, as I have been involved in myriad groups and working parties and consultations from the beginning of the establishment of the Ivanhoe Cluster. In those days we were all focussed on preserving the essential and particular(?) aspects of our three communities, and our properties. As a relative late comer (1981) - I was never convinced of those essentials and particularities, but having lived through a number of amalgamations at work, I understood that people need time in these situations. I think it is sad that we still can't see ourselves as a Catholic community in Ivanhoe; that we still are holding onto our own "communities" whatever they are; that we are not open to and willing to explore together, what a Catholic parish in the wider Ivanhoe community could be in the 21st century. I think our inability to really embrace one parish in Ivanhoe is the real elephant in the room. And this is symbolised in the attachment to property. You see, I believe that we will never truly be a parish until we have one Mass Centre - I look at the Outreach Group, with which I have had substantial involvement (until this year), and I see that it could benefit from much greater involvement from across the whole parish. Who knows what it could be, what it could do . . . and I suspect this is true of other groups as well. I am sad that we haven't over come the attachment to property - that there is still an unrealistic ambition, reflected in this plan and presumably the consultation that produced it, to hold and maintain so much more property than is really required to support a vibrant Catholic parish in Ivanhoe. I think we now have a pretty good idea of the challenges that face our Church, in an increasingly secular and materialistic wider society, as it seeks to keep a different world view and a different way of being, before that world, as especially young people. Are these challenges not what a Parish Master Plan should be addressing? I would like to congratulate the Parish History group as well as the Communication group for their most timely presentation of photographs which document some changes that have occurred in our parish (es). They raise a core historical question of the reality of change or continuity as a driver of human activity. Would those good people who worked so enthusiastically to raise the first substantial Mary Immaculate Church have ever thought that their efforts would prove inadequate by the 50s? The truth, as Father John continually reminds us, is that we are the Church. Not the buildings. Every generation finds subtle changes and different needs are required for the people of their time. The land where generations have come to worship and build the community of God is more important but even that in a relatively young and continually developing nation may be negotiable. local communities, yet enable parish-wide activities as well. The consultative nature of this new proposal is also much appreciated! This is an entirely personal response. I have been a member of the tennis club for a long time. At the moment it is in serious decline, largely because of its doubtful future in the parish, but also also because of the drought restrictions. It seems a pity to have it go, but our membership is relatively small at the moment, and not many members are current parishioners. A lot were, but have moved elsewhere. What we do need are (a) six months to wind up all our current competitions, and (b) a fairly definite ending date. Teams have been entered in approaching seasons, and we would not like to be suddenly left stranded. on the other hand, it would be better to finish on a date, and maybe have a wake then to slowly die by attrition. I have considered the master plan . The Parish Leadership Group and the architects are to be congratulated for coming up with such a bold and challenging concept. I am In principle agreement with it although there are many details to be worked out before it could be implemented. However we need to be decisive about this and not allow it to drag on for years with interminable meetings and discussion. We need to make an in principle decision within a matter of months and then have the PLT with such coopted assistance as they need consider the feasibility of proceeding and if it is feasible an implementation plan. I sound a note of caution about a sacrificial giving campaign having participated in the last. We cannot keep flogging existing contributors many of whom are retired and on fixed or in the current climate declining incomes. We have to concentrate on new sources of income derived from assets as the master plan suggests. 2009 will not be a good year for asking existing contributors to give more. If anything they are more likely to be reducing their contributions. I hope these comments are of assistance and again congratulations to the members of the PLT for their performance of a thankless task - David Jones. In Hanh Nguyen's letter "Knocking down Mary Immaculate Church" I understand his outrage, and even rage, against demolition of such a Sacred Place. However as MOG rep. on the PLT I must defend MOG's position. These are very difficult times.We have two churches, and two presbyteries that are in dire need of some TLC. We have dwindling numbers, dwindling funds and ageing priests. When I came to the PLT in Feb. this year, we were in the mode to sell MOG presbytery and use the funds to have a one Mass Centre at MI. MOG church was going to be closed for Sunday Masses, only to be opened for school ceremonies, funerals etc. - Deferral of this move pending assessment of physical changes required for Mass centre, priest's accommodation, and administrative needs. - No disposal of any of the current Church buildings while Fr John is Parish Priest. The "one mass centre" issue was not directly addressed as part of the current survey and in fact no concrete 'solutions' or changes were addressed. The survey was aimed at the more general areas of needs and attitudes. It is envisaged that Sue's strategic review, which will include the surveys findings and the Architect's strategic review will be completed in time this year for a broad plan to be drawn up for use in a consultative period before Christmas. The Parish Governance structure involves the full PLT making a decision in the form of a recommendation to the PP who has the sole formal canonical authority to make decisions. All input to this process by groups and individuals will be most welcome, many things are not set and undoubtedly decisions will be made and some will be changed. Major decisions are normally taken by a process of motion, discussion and vote. The issue of 'One Mass Centre' was not directly addressed in the Parish survey - this continues to be "the elephant in the room" within the parish. I wonder if we should not try and think outside the square on this issue. A question first - why the change from Pastoral Associate; was it because of Diocesan professional requirements for employment of Pastoral Associates? Topic: What are Sacraments, the Church, the Parish? * As is done very satisfactorily in many other parishes - Families choose to contribute to the sacrificial giving, or pay an increment on top of the designated school fee. This revenue should be put towards church cleaning, insurance and maintenance, etc. The existence of a well maintained and open church is after all central to a catholic school community where access to liturgy and the sacraments is crucial. * The Mother of God church building could be easily altered to become a large community centre. The altar screened off, chairs replacing pews, and the building used for community, and other, groups and events, as a substantial school hall, or even hired out for appropriate use (ie as a venue for funerals from outside the parish, music lessons, yoga or tai chi classes, social gatherings, etc. etc.). The building would still primarily be a church - with seating adjusted for any size of congregation. Topic: Who is a prophet? A prophet is someone who leads; someone who shows us new ways of seeing, new ways of being Christian. A book by Marcus Borg "The Heart of Christianity" offers this insight. It is a resource used by Ivanhoe Churches Together in the current Easter Season Studies. This week's Newsletter invites thought on "what is a prophet" and reports that at a recent SIP meeting Bishop Hilton Deakin defined the prophet as one who listens, questions, and pushes back the boundaries. One of the persons he thought fitted that description was "Dorothy" Day. The following extract from Wikipedia illustrates why. I am very relieved that the decision to move to a single Mass centre has been delayed, albeit temporarily. Personally, I fear the loss of two communities, one at East Ivanhoe and the other at West Ivanhoe if the decision goes ahead. 2) Who would continue to contribute to the Sacrificial Giving? I acknowledge and thank all those people who have worked on this Plan to date.